We all have that one spot in our house where chaos reigns. The one in which all attempts at maintaining order feel like a losing battle. For some of us its the bedroom closet. For others, it’s the garage. The basement. The laundry room. Whatever the space, it’s certainly not pretty to look at. It’s maybe even a little exhausting to confront on a daily basis! And it requires major action to upgrade, the effort required for a complete overhaul seems even more overwhelming than the hassle of continuing to put up with things the way that they are. For me, that one spot has always been the pantry. You wouldn’t think that four cupboard shelves could get the better of me. 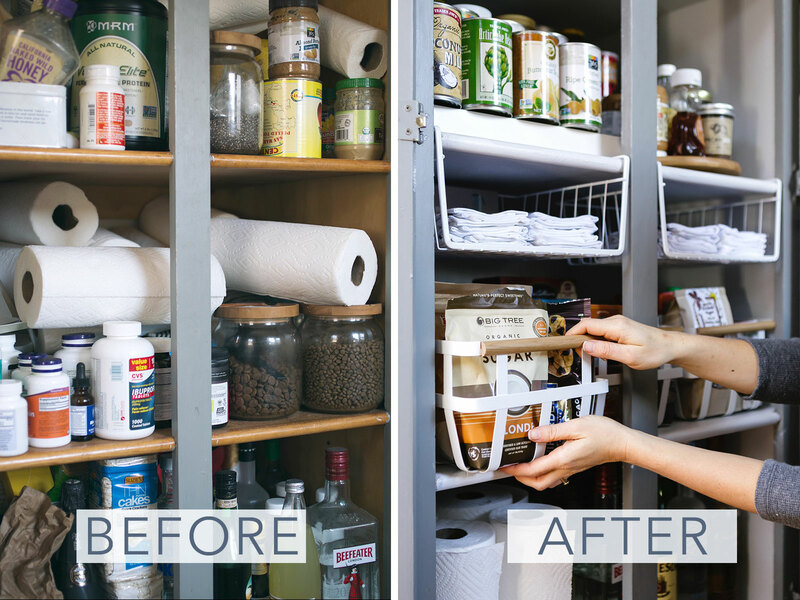 Yet the pantry has always been a permanent disaster zone (scroll down for the truly horrifying ‘before’ shot). On a functional level, I’ve been unable to find anything quickly and easily—which has seriously hampered my workflow when I’m cooking. And on an aesthetic level, I’ve been cringing every time I open the doors. The shelves are sticky with a thick layer of residue from drippy honey jars and spilled flour. The interior is dark and gloomy because when we painted the outer cabinets a soft grey last year, we left the insides their original brown hue. Yet as much as I’ve hated the ugliness and the disorder of the pantry, I’ve been daunted by the thought of taking everything out, scrubbing and painting the shelves, and creating an organizational system for the long term. So the madness has prevailed. Until recently, that is! 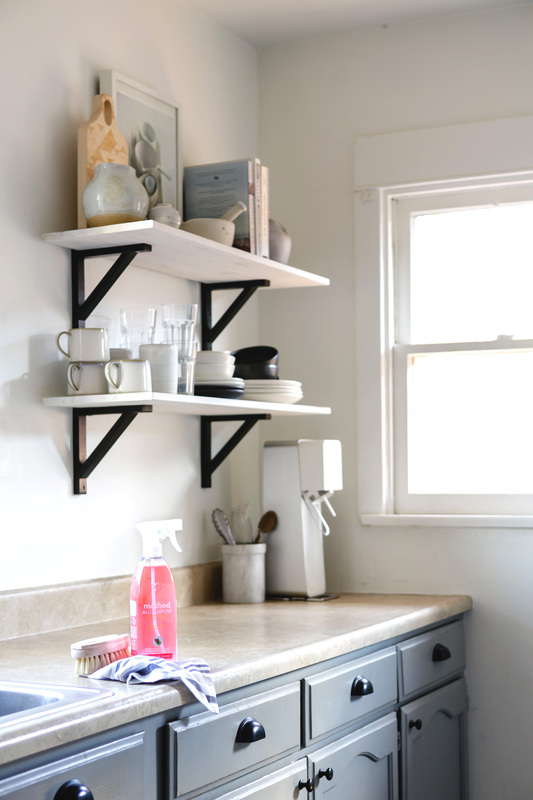 When method challenged me to take on the home makeover project that I’ve been fearing because of the mess it would make, I knew the moment had come to roll up my sleeves and tackle the pantry. It certainly wasn’t going to be easy, since a true upgrade was going to require more than just a simple wipe-down. 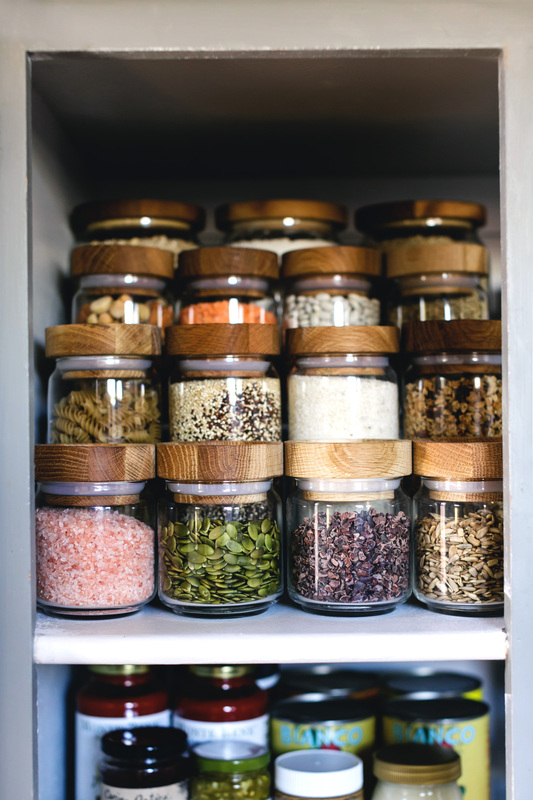 But method is all about focusing on doing what you love and letting them worry about the cleanup; and I knew that I couldn’t truly live out my dream of calm, meditative kitchen time until I addressed my nightmare of a pantry. So with my trusty method All Purpose Cleaner in hand, I got down to work! The first step was the one I was actually dreading the most: removing everything from the crowded shelves and sorting through it all. 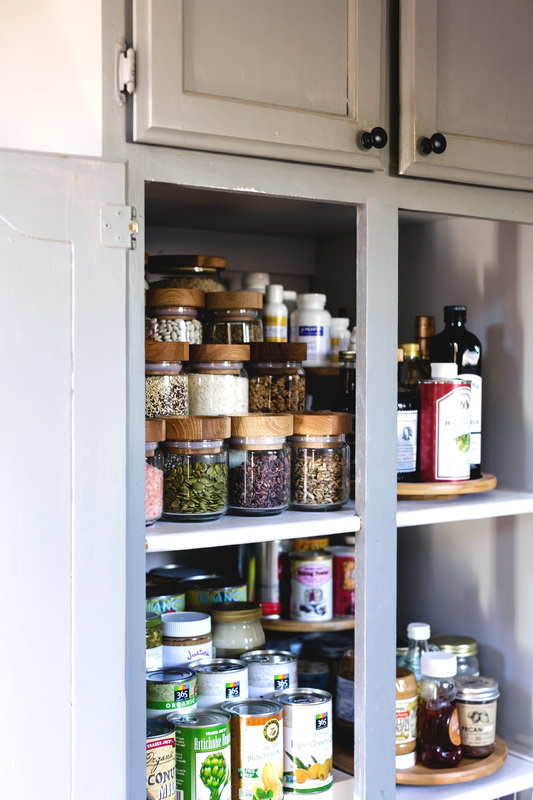 At least hidden behind the pantry doors I could ignore the duplicate liquor bottles and expired medications, but spread all over my kitchen counter and floors I couldn’t avoid the agonizing triage process of keep, toss, relocate. So I enlisted a second clean-up expert, my friend Cathleen at Assembly. She’s a whiz-bang professional organizer and with her support we plowed through in an hour a task that I would have dragged out for a full day! 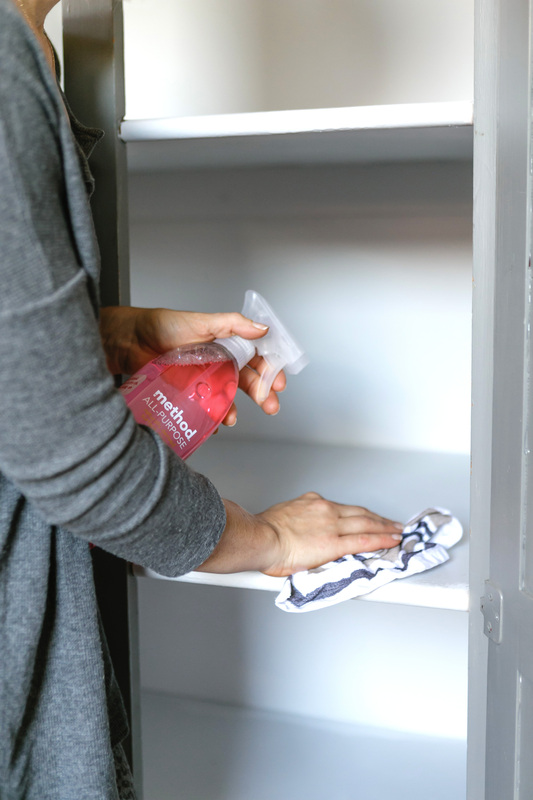 (I highly recommend bringing in an objective third party any time you have a purge on your hands…) I then spritzed my method All Purpose Cleaner to scour the grime from the inside of the pantry and prep it for painting. With the non-toxic grease-cutting ability method’s powergreen technology, each squirt broke down grime easily, meaning I needed much less elbow grease than I’d expected for the job. To the clean surfaces I applied two coats of primer and two coats of paint. 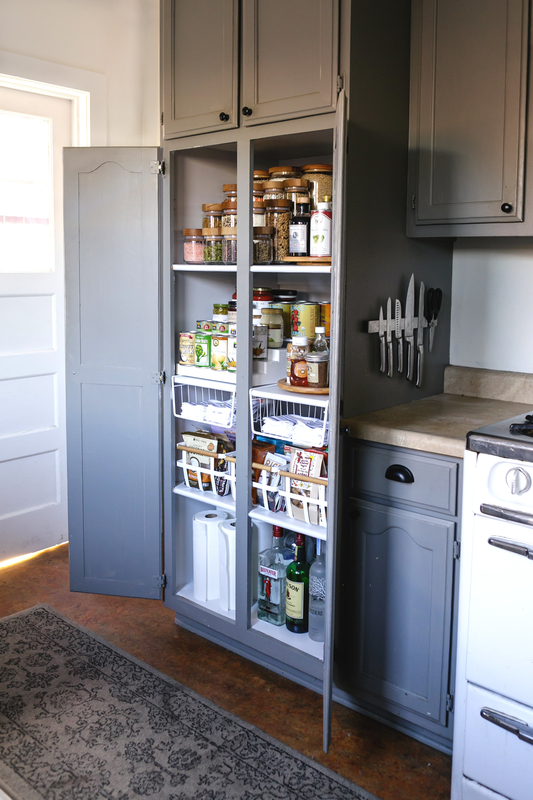 The end result was a pale grey finish that bounces tons of natural light around in the cupboard, ensuring that I’m able to see things even on the farthest reaches of the shelves! Finally came the really fun part! Prior to her arrival, Cathleen had given me a list of the exact supplies I should have on hand (more on that list in a separate post!). Once the paint had dried sufficiently, together she and I returned all the food to the pantry. We used a mix of glass canisters, lazy Susans, risers, and baskets to segment everything into clearly defined storage areas. 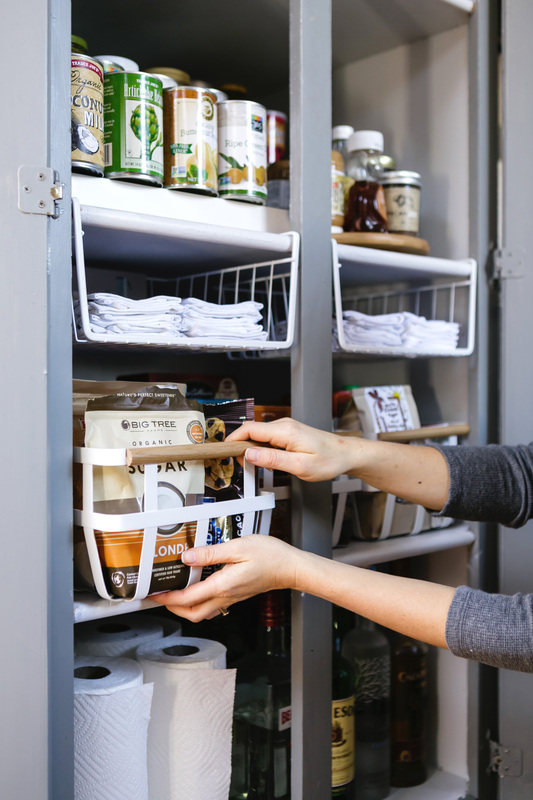 Because the pantry is quite deep, these supplies were essential to maximizing every inch of space while still making it easy to find what I’m looking for in a pinch! Now, instead of opening the pantry doors only at my own risk, I can’t stop staring at the tidy rows within! I’m taking my vitamin supplements more regularly because I don’t have to dig to grab them. I’m not buying duplicates of my canned items because I know exactly what I already have in my cupboard. My workflow when I’m cooking is so much more smooth. And, best of all, everything now has a place so I’m able to keep it looking this way simply by following the established system! 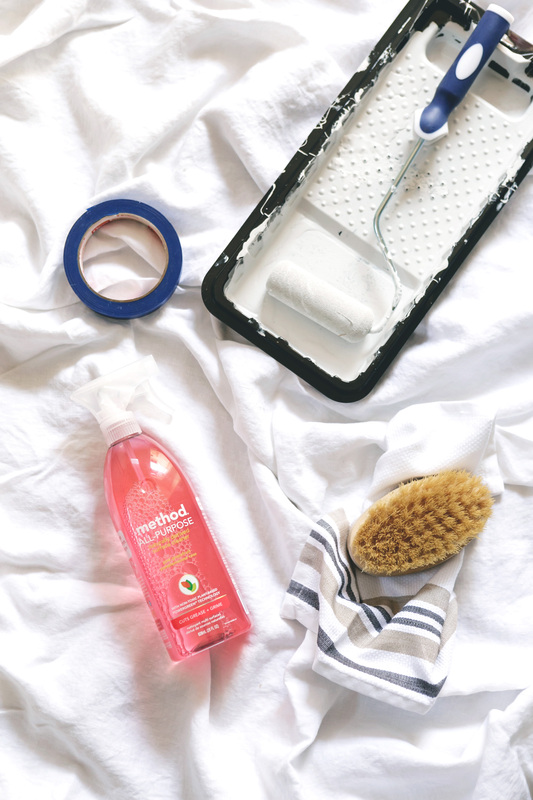 I’m now turning an eye to the other areas of my house that could use some TLC with help from method—because mess is no longer the enemy when it leads to order in the long run! Disclosure: This post was created in partnership with method. The compensation received in exchange for sharing this inspiration with you is used to concept this post, purchase props, hire a photographer, style the photos, and write/edit the blog post. Thank you for supporting the brands that enable me to bring you fresh ideas daily! 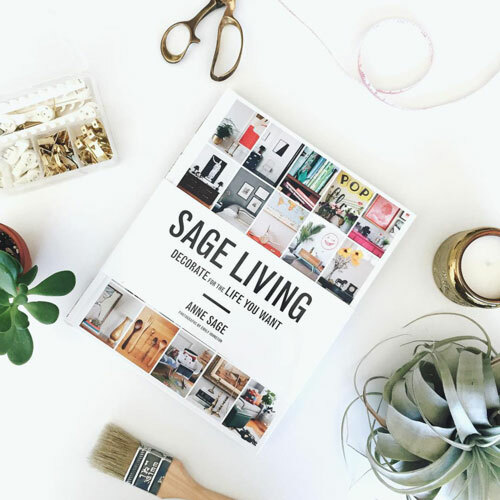 And thanks to Monica Wang Photography for the outstanding images, and of course to Cathleen Simmons of Assembly for her expert organizing advice! The Science of Fashion: Minimalist Ruffles + A $500 Fashion Giveaway!